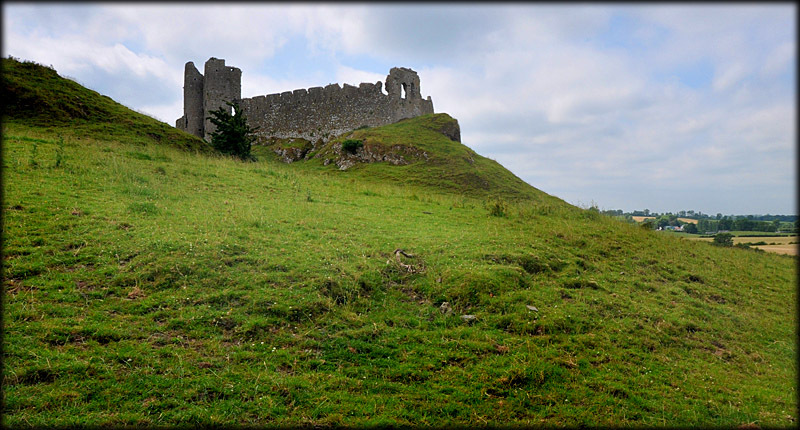 Castle Roche is dramatically situated on a rocky outcrop. It has a sub-triangular curtain wall with a large hall at the southern side. In the east wall is a twin towered gatehouse. There are steep drops on the south and west side with a steep slope on the northern side. It is believed to have been built in 1236 by Lady Rohesia de Verdun after the death of her husband. The story goes that she promised her hand in marriage to the architect who would build her a castle at Roche. On the eve of the wedding she asked her future husband to peer out of a large window to view the lands he was soon to possess. She promptly pushed him out of the window to his death. This window is still known as the murder window and his ghost is said to haunt the ruins of Castle Roche. The present remains of the castle are more likely to be of a later date than suggested in the story above and more than likely built by her son John de Verdun who died in 1274. We know that by 1642 the castle had fallen into ruin because at that time Richard Bellew had obtained a grant to repair it. The castle finally lay in ruin after being attacked by Cromwellian forces in 1641. We hope to call back again on a more pleasant day for more photographs. It's well worth a return visit as the views from here are quite stunning. 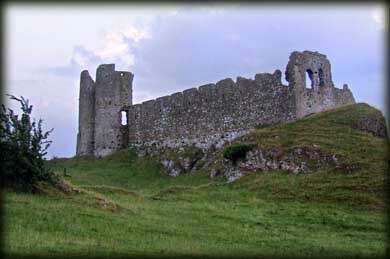 To view over 140 Irish Castles click on Fortifications. 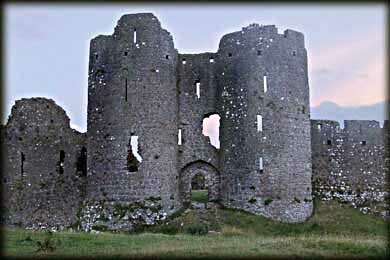 Situated: From the M1 take exit 17 head west for Castletown. After 1.5k turn right for Kilcurry. At T-Junction turn right. 600 metres turn left. Then go three kilometres. Castle Roche is on your left. Discovery Map 36: H 9900 1187. Last visit July 2013. Photos: Jim Dempsey and John Donnellan.